More Bikes, Less Safety: Is Seattle Ready for Bike Sharing? CORRECTION: The Davis Law Group values ethical behavior, which means that we are not afraid to admit some of the facts in this post were originally, unintentionally, misreported. The study of cities who have implemented a Bike-Sharing program actually showed that these cities suffer fewer accidents, but head injuries did not decrease as much as other types of injuries from bike-related collisions. Still they have decreased, and that’s a victory for Seattle. 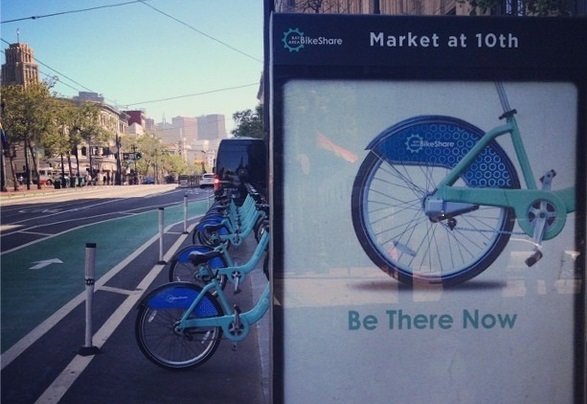 The upcoming bike-sharing program will make this city even better to live in. A decrease in accidents, however, is not an eradication of accidents, and the Davis Law Group is committed to supporting all of those who have been brutalized by a vehicle while riding their bicycle. We remain stalwart in our defense of cyclists. ORIGINAL POST: In September, Seattle will be one of the few cities in the world with a bicycle sharing program. Alongside Paris and Boston locals and visitors will be able to rent bikes and helmets for short trips from a station in one part of the city and return them to a station near their destination. The benefits of a healthier population in a city with less pollution are exciting but these bicycle stations will also introduce more risks to riders and pedestrians according to a study highlighted by this recent news report. The elite cities that have bike sharing programs also have more bicycle accidents that result in head trauma. There was more than a 10% jump in these sorts of accidents. While this may seem logical as increased participation in any activity is going to see a parallel increase in the accidents associated with that activity, drivers in Seattle already suffer from a general anti-cyclist attitude. As a result of this, it's conceivable that more active bicyclists in the city might result in fewer safe drivers, and therefore an increased chance of bicycle-versus-car collisions. A 10% increase in bicycle-related head trauma becomes an even more alarming statistic when matched with this one: two-thirds of bicycle accident deaths are caused by the type of traumatic brain injuries typical in these accidents. If the number of these sorts of injuries does increase in the future no one is absolved from their responsibility for the harm they cause to cyclists. Should a driver’s reckless or negligent driving injure you or one of your family members in a bike crash, you may be entitled to financial compensation. It could be in your best interest to consult with an experienced attorney. As always you can visit the Davis Law Group library to learn more about Washington’s laws regarding bicycle accidents in Wheels of Justice, written by award-winning attorney Chris Davis.